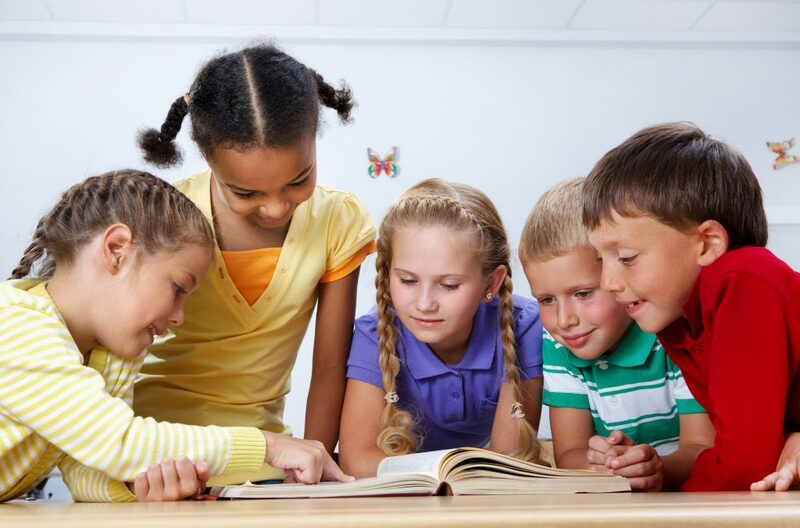 For educators based in the Knox, Maroondah, or Yarra Ranges council areas, Eastern Regional Libraries provides sessions to support your students in developing confident literacy skills, and becoming lifelong learners. These sessions can include an introduction to library resources, hands on STEAM visits, research and information skills building, and tips for staying safe online. With the exception of one or two specialised programs, library visits are free and can take place at your local library, or at your school! The library offers a vast array of useful and fun resources for students to explore! Our friendly library team can introduce students to how they can use their local library to learn, have fun, and discover new ideas. Learn how to download eBooks, access free coding resources, find high quality information for research projects, play educational games, and more! Your library is home to a large range of educational Science, Technology, Engineering, Arts, and Maths programs. 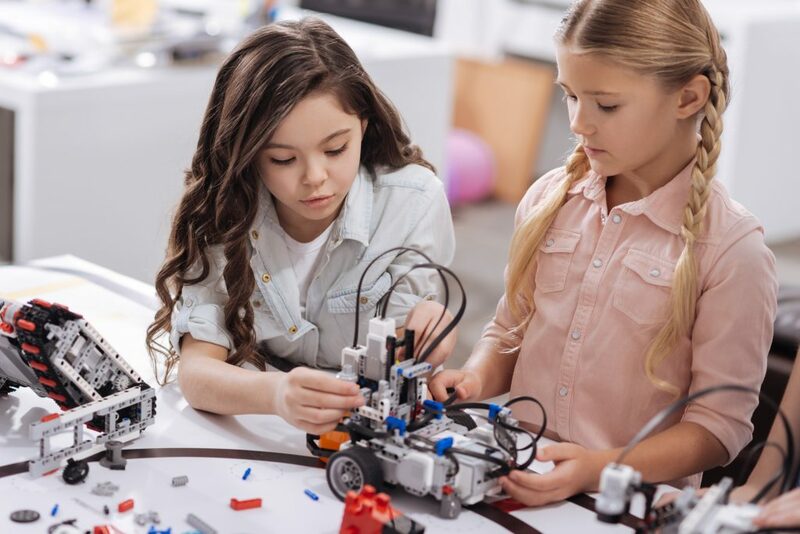 Activities include coding, robotics, science experiments, 3D design, and engineering challenges that we can run for your students. With the exception of one or two, these events are free for us to run either at your local library, or at your school! Cybersafety sessions will encourage students to learn how to navigate through the online world in a safe and positive way. We cover a range of topics about how to use the internet responsibly, including: staying safe while talking to friends and family online, how to know if a website is trustworthy or not , learning what is private or public information, how micro-transactions are targeted at kids, tips for avoiding internet bad guys and more! Our research and information skills sessions will provide students with practical and accurate advice on how to find, interpret, and use information in their academic, and everyday lives. We look at topics around where to find credible resources, how to determine if an information source is credible, and how to properly cite information. Other content covered can include tips on how to search for useful information, looking at how media reporting influences the way we understand an issue, and tips on how to develop logical, evidence based pieces of work. To arrange a visit, it’s important that the majority of your students are members of Eastern Regional Libraries, so they can take advantage of the information and resources we cover in sessions. Anyone over the age of 18 can join online, and younger people can visit a library with a parent or guardian to join, or use one of the methods below. It’s super easy to help your students join up, here’s how! The easiest method for parents and schools is the use of our student membership portal. It’s accessible from any internet connected device at yourlibrary.com.au/students and allows parents to provide their child’s details directly onto this website. Library cards are then delivered to the school to be distributed by teachers. The school also receives a copy of the student’s card number so library resources can be used in class throughout the year. This system is almost completely automated and schools can provide the web address above to parents by any method convenient. If your school is not listed, please use the contact form below to have it added. Schools that use the Compass app and whose students have CompassIdentity cards are able to use a fast, automated method, please use the contact form below to make this happen. A sample of the CSV spreadsheet file format that’s most ideal for our system to process. BusyCode is a fantastic way to introduce coding to children ages 5-11. Children guide their character around, and complete puzzles to learn introductory coding concepts. Kanopy Kids highlights films and TV series that inspire and inform, helping children develop empathy, mindfullness, and self-esteem through entertaining and educational videos. Stream now! BusyThings is an online learning resource that helps your child’s creative development, problem solving, numeracy and literacy. BusyThings is available on PC, on iPad via Safari, or Android tablet in Google Chrome. Literacy Planet offerings an interactive and fun learning program to assist in childhood literacy development. Click ‘Free for library users’ button, and sign up for access using your library card. Download children’s eBooks and eAudiobooks via the website, or straight from the Libby app! Download eBooks and eAudiobooks via the website, or straight from the BorrowBox app. Offers Australian and International best-selling authors. Reference books on Arts, Business, Environment, History, Law, Literature, Medicine, Multicultural Studies, Nation and World, Religion, and Science. Getting ready to become a new driver in Victoria? Free learners practice tests and this year’s official Victoria Driver’s Manual are available. Browse or keyword search The Age Online, with copies dating back to 2006. Great for students looking at media and journalism. Contemporary media issues with background and arguments, partnered with a searchable news database, both with links to original text and multimedia sources. Available at the library only. Discover new ways of learning with these free, safe, and educational online learning resources, loved by your librarians! Developed by MIT, Scratch is a fantastic, beginner friendly coding platform. Using visual, drag and drop code blocks, students can create anything they imagine! Best for ages 7+. For younger learners, have a look at the Scratch Jr. app on iPad/Android. Code Club projects are fun, step by step guides for young learners to learn how to code by making games, animations and interactive stories. Projects are available for Scratch, HTML/CSS, and Python. Hour of Code has one hour coding tutorials to inspire children to learn computer science. Complexity ranges from pre-reading levels to Year 9+. Students can code with characters from Minecraft, Star Wars, Adventure Time and more! A fun, free and educational app available on iOS and Android, for children ages 2-6. Engages children with early literacy, maths and language, while encouraging creative thinking, and building social-emotional skills. Science based lesson plans, experiments and more! Great for educators of children aged 6-12. Activity ideas are curriculum aligned, and also encourage students to think creatively and critically. Be Internet Awesome! Developed by Google, Interland helps kids become safe, confident explorers of the online world. Includes games based around making responsible choices for everyday decisions we face online. Arduino is an electronics platform based on easy-to-use hardware and software. Students can learn about electricity while making interactive projects using LEDs, moving parts and more!